HF: Some initial notes and images regarding this Hong Kong company established in 1877. 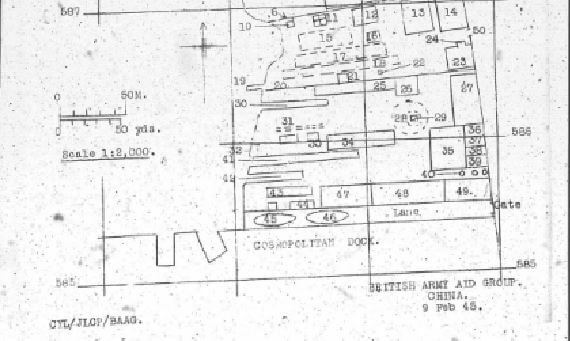 The following extract is from an August 1944 BAAG WW2 report courtesy of Elizabeth Ride. The Kwong Hip Lung Shipyard, situated immediately North of the Cosmopolitan Dock in Shamshuipo, was renamed the Dainichi Shipyard in June 1943, and is under the control of the Hongkong Governor’s Office. The building of wooden vessels and general repair work are undertaken by this yard. The No 5 Kosho Maru, a small wooden vessel, was completed in June 1944, and two other vessels, the keels of which were laid in September 1944, are expected to be ready in May 1945. . About 1000 workers are employed, and the power is supplied from the China Light Main station. The yard is reported to be short of iron, paints, fuel oil and kerosene, while its stock of timber is also very low. 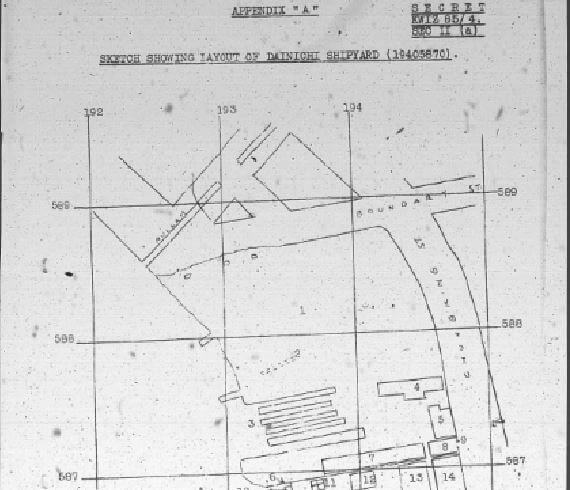 Bombs fell in the dock area in June and August 1944, partially destroying the Boilermakers´ and Carpenters´ Shops, the Foundry and the Storehouse. Rebuilding has been proceeding.